Ecuadorian filmmaker and journalist Oscar Leon gives account of the day President Correa was attacked and held by the police. Part two of Ecuador: Failed Coup or Institutional Crisis? On the morning of Thursday, September 30, 2010, the city of Quito, capital of Ecuador, awoke in chaos. Groups of rebellious, armed police had taken over several areas of the city, disrupting transit, burning tires and violently protesting what they alleged was an unfair law set to cut their wages. In an attempt to quell the situation, President Rafael Correa, immediately decided in-person dialogue would be the best way to explain to the insubordinate and rioting police officers that the law they opposed was actually going to improve their wages, benefits and overall job security. Investigative reporter Greg Palast discusses the domestic political motives behind the war posturing of Venezuela and Columbia, Obama’s embrace and expansion of Plan Columbia, the demonization of Hugo Chavez and Ecuador’s escape from vassalage to the U.S. and big oil. 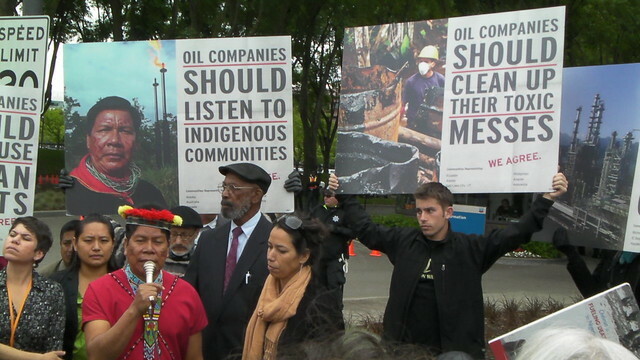 (Latin Pulse: October 27, 2009) Thousands of people representing Ecuador’s indigenous tribes are suing Chevron-Texaco over the pools of toxic wastewater the company left behind. Following Chevron-Texaco’s 30 years of profit from indigenous lands and resources, the tribes are seeking 27.3 billion dollars from the California-based corporation for the clean-up. We talk with Joe Berlinger about his new film on the case, Crude, and with Amazon Watch about the worst environmental disaster since Chernobyl. But Chevron-Texaco is not the only problem for the indigenous communities of Ecuador; the native population is taking to the streets, demanding a seat at the negotiating table with the government in order to contest other proposed developments on their territories. 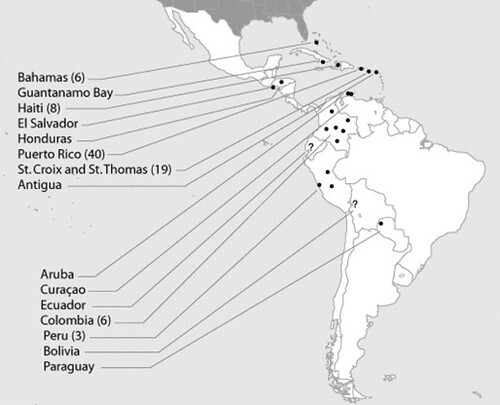 It may be useful to assess the dangers of the systematically hostile attitude of the overwhelming majority of major European and North American media companies in relation to the current events taking place in Ecuador, Bolivia and Venezuela. This hostility is only matched by an embarrassed, complicit silence with regard to those involved in the putsch in Honduras or the repression enacted by the Peruvian army against the indigenous populations of the Amazon. A new Latin America is emerging on the global political stage. Marwan Bishara and guests analyse how the Obama administration may deal with Latin America and what the relations will mean on a global level. Featuring an exclusive interview with Noam Chomsky. In response to Colombia’s “unfriendly” decision to expand the U.S. military presence on Colombian bases, Venezuela will strengthen its fleet of armored vehicles and increase its military presence along its border with Colombia, President Hugo Chavez said on Thursday. Greg Palast get’s the exclusive English interview with this controversial new Latin American president. Investigative Journalist Greg Palast files this report from the rainforests of Ecuador, where an indigenous tribe is suing Chevron for $12 billion for contaminating the Amazon. 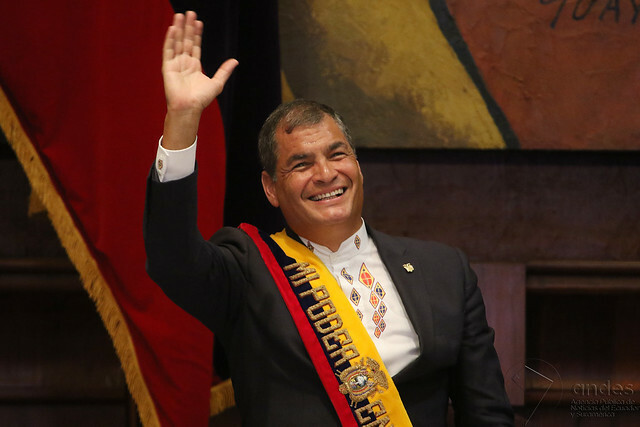 We also play part of Palast’s interview with Ecuador’s President Rafael Correa.